Growing up in non-conformist Wales in a Catholic household meant that Good Friday was a black day. No shops, no pubs, no cinema and no newspapers. I was told it was because this was the day that Jesus was crucified and it should be treated with solemnity. The habit has stuck – to a certain extent. I find Good Friday a day that still invites reflection and this book is a good choice for this weekend read. I believe that its title is taken from a quote attributed to Socrates, “The unexamined life is not worth living”. The premise of some case stories from a psychoanalyst may not fill the reader with anticipation but this book is a gem. 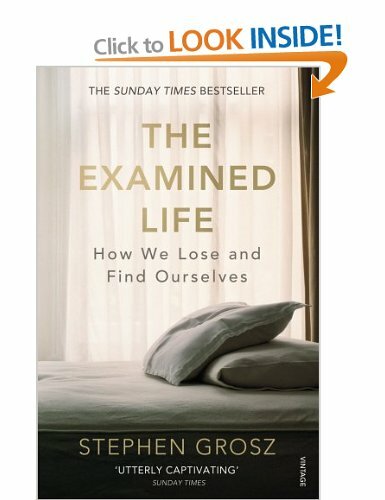 Stephen Grosz tells the stories of everyday people who have for a variety of reasons arrived in his consulting room seeking help. From the lovesick to the suicidal he recounts their tales in a manner that is both easy to read and thought provoking. The phrase “truth is stranger than fiction” came to mind as I hurried through this book for the first read and then forced my self to take it more slowly second time around. 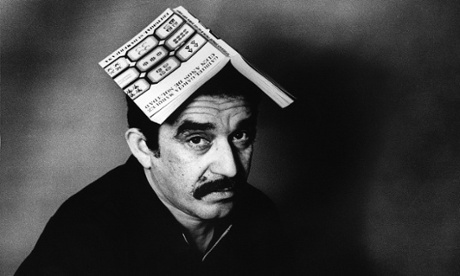 In my coach practice I am always listening for what isn’t said, if you like I search for the gaps between the words and the underlying meaning of the language, the writer is obviously supremely skilled at just that. His conclusion, that if we can work out what’s driving us, then change is always possible, resonated with me personally and professionally. If you work with people or just interested in how they function then this is a “must read”. The interviewee on the Incisal Edge Podcast this week is Dr Dhru Shah. In addition to being a specialist periodontist Dhru is the founder of Dentinal Tubules which has grown from a board for advertising job vacancies to huge resource for continuing professional development. Join us and listen to Dhru talk about his past, the current state of play with Dentinal Tubules and his plans for future projects which will dwarf the current set up. Don’t forget you can subscribe to the podcast via iTunes. 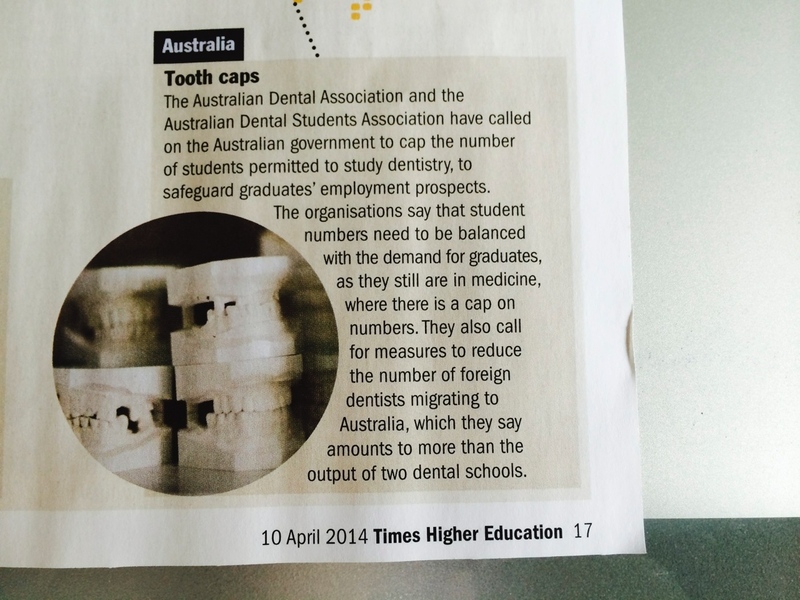 Australia urged to pull up the “Dental Drawbridge”. From Time Higher Education 10th April 2014. The corporate roundabout carries on turning. Smiles Dental, Ireland’s biggest privately-owned dental care provider, has been sold to Oasis Healthcare for an undisclosed sum. The price is thought to be region of £30 million (€36 million) for the company which was founded in Dublin in 2005 by Emmet O’Neil and orthodontist Hugh Bradley. Smiles provides dental care from 77 practices in Ireland, England, Wales and Scotland. The Irish group, which has 17 clinics in Ireland, has a turnover of £70 million (€84 million). Oasis Healthcare is Britain’s largest provider of dental care and post the acquisition of Smiles it will have a turnover of £210 million and three million private and public sector patients. There will be 280 dental practices in its group post the transaction. Oasis is owned by private equity firm Bridgepoint, which owns among other businesses Pret A Manager, the ready -to-eat salad and sandwich maker which has 300 outlets in the UK, US, France and Hong Kong. The UK dental care firm is led by Justin Ash and chaired by Stuart Rose, the former Marks & Spencer executive chairman. “I am delighted to be joining their team and look forward to working hard not only to integrate our business, but to grow in future and to continue delivering a modern and innovative approach to dentistry,” he added. Mr O’Neil said combining the two businesses would offer additional clinical services to patients and lead to other synergies. Oasis will brand Smile’s UK practices as Oasis Dental Care but retain the Smiles brand in Ireland.